The day before the worst day of my life I was at Catalina Island, California. 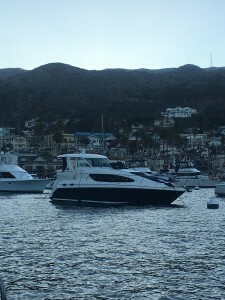 Catalina Island is a small island off of Long Beach, California. The only town on it is called Avalon, which is only three square miles in area, inhabiting lots of golf cars and smart cars. There are also lots of small quaint hotels, tourist shops, and of course, a beachfront to play on even though sailboats are floating in the harbor. The weather is perfect, a gentle seventy-something, with a flutter of a breeze snaking around us. My visit to the island was for a short few hours before I needed to board the taxi boat and be shipped back to the mother cruise ship. I was with three of my older children for spring break. For the past year or so we had undergone a lot of family trauma that was very traumatic on all of us and had hurt family relations. I was using this trip—a cheap (turns out to be too cheap) cruise to Mexico aboard the cheapest of cruise ships, which meant that there was a lot of college kids getting plastered on-board. The last stop of this cruise was on this Island for part of the day. The quaint town immediate captured my attention with some of the old world architecture and whimsical shops. My children weren’t going to be happy with shopping or laying in the sun. They wanted adventure, especially my younger teenage boy. He had been through enough and so I was going to do what I could to make him happy. He wanted to do the zip line. That sounded terrifying. My children begged, telling me that I was being a wuss and it wasn’t that bad. I shrugged wanting to help them recover from the stuff we weren’t going to talk about. To my relief, the zip line tours had long ago been sold out so we couldn’t go on those. Even though I was relieved not to do it, I couldn’t help but have the idea of flying across the island only attached to a harness capture my attention. What a symbol of freedom. Being brave to do something like that would certainly be an adrenaline rush. I was afraid to admit to even myself the seed of adventure had been planted, and someday I thought I might like to try that. My children were insistent, and we found other outdoor excursions with my children braving the ocean. I had a panic attack for being in the ocean so far away from the shore and with the chance of sharks nipping at me in the water. My children continued with their adventures, and I quietly made it back to the shore to recapture my breath. As I sat in the sun on top of the sand, I took in the beauty of this place. I hadn’t grown up near an ocean so every time I had the great fortune of being near one, I couldn’t help from being overwhelmed from its magnificence. As the gentle oceanic breeze blew past me, and I looked at the soft golden sun spilling down on the island, a huge desire swelled in me to explore the island. I wanted to see what was behind the cute town and I also wanted the thrill and rush of doing the zip line (even though the very thought of it scared me). The desire to do this exploring swelled in me such that I pulled out my cell phone and called my husband at the time. He talked with his normal jovial voice, and I told him of the beauty of this place and the wonders of this island and that I wanted to experience more. I was captivated by the idea of wandering the island with a man I love holding hands and exploring the island together. 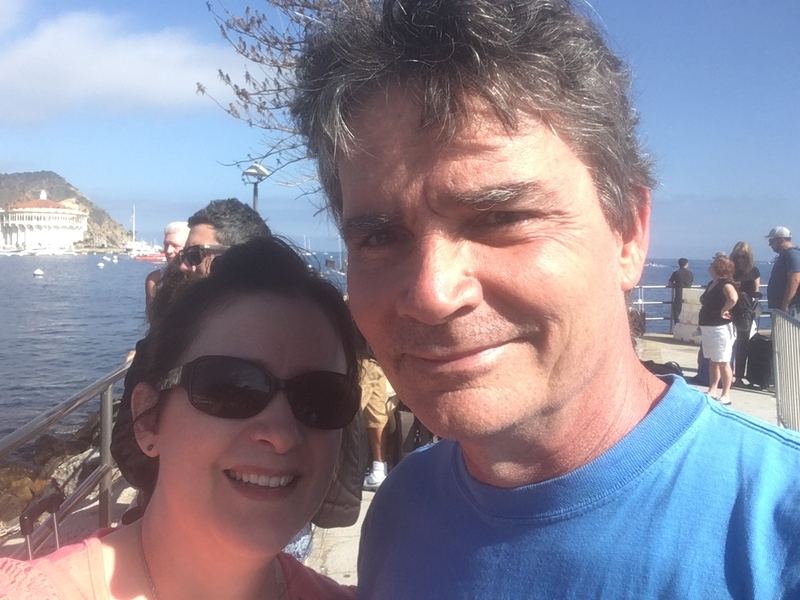 I knew that my husband was resistant for adventures like this, and I also knew that our relationship was more on the sour side, but I had hopes and aspirations to have my dream of romance, love, and kindness in my life, too. I asked my husband if he would be willing to take our vacation here. It wouldn’t be too expensive. Just a drive over. He said sure, and I got off the phone happy that I would be flying down the mountain within the year. Yes, my saying “husband at the time” and “the day before the worst day of my life,” you know that my dream of going back didn’t happen like I had dreamed of on that day. In fact, the next day after our ship docked I had a strong impending feeling come over me that something wasn’t right, and I needed to hurry home. When he said this, even though it was a very thoughtful and kind thing to say, something in my stomach twisted hard. Something wasn’t right. My chest tightened, and my heart pounded. I had the impression that I shouldn’t let him know that I was on my way or that I was as close as I was so I didn’t. Instead, I slipped into the car with my older kids and speed down the highway completely breaking the speed limit as I was unable to shake the disturbing feeling that something wasn’t right. And that feeling was right. When I pulled up to my house, grateful to be home on solid ground and looking forward to a long snuggle with my husband, I noticed that my husband was outside doing something with the van. I didn’t let this bother me. I needed a hug. (Being on a cruise for three days with three teenagers could wear any good mother down.) I rushed out of the car and up to my husband, but instead of getting the expected and promised hug, I got a brutal brush-off as he knocked into me and hurried past me into the car. I was soon to find a lot of my stuff missing in the house and my two younger children missing. My husband who had promised to work on the relationship was leaving me and had been planning his great escape for months. Needless to say, the Catalina Island trip was a no go. Or so I thought. Flash forward four years later and jump me into a happy marriage. I had found a husband who was much more than talk. He actually only wanted to be married to me. He liked holding my hand and snuggle time was to be expected not begged for. Well, four years later I needed to write a book, and I needed a new place to write about. 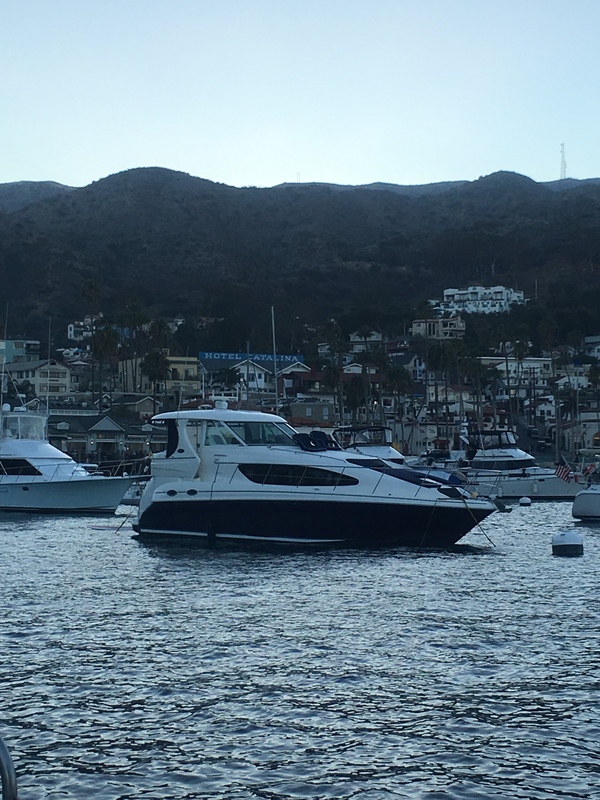 Of course, it was going to have to be Catalina and I needed to do a work trip to Catalina so I could thoroughly research the island to make the story sparkle with reality and authenticity. Naturally, the main leads were going to go zip lining, so I asked my new hubby if he would go with me. After some protest, mostly about him zip lining, he agreed to be my hero and the brave, romantic lead in my life so I could write about the place based on experience. We packed up our stuff, drove for hours, and one simple boat ride later, presto, I was back to the place I had longed to return to. The next morning I stood by the man I truly wanted to be with, and he held my hand as I shook climbing the podium to jump into the deep abyss of a canyon with the idea of flying attached to a zip line through a quarter mile of sky. After a couple of whimpers and a host of swear words and one mighty yell, I jumped and soon after my husband followed. We jumped, again and again, going down five separate zip lines and enjoying the feeling of being truly alive. As I looked back at him all hoisted up in gear; I couldn’t believe what I saw. I saw a kind man looking at me, happy to travel and jump if that was what it took to make me happy. Then and there I knew that happy endings are not only for fiction books but can also happen in real life. 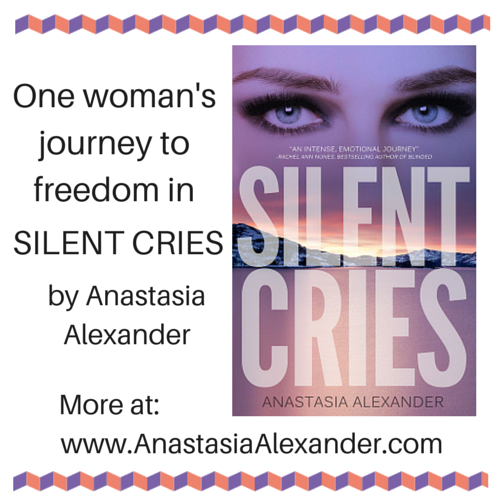 Anastasia Alexander, author of Superstitious Romance and upcoming novel Romancing JT.